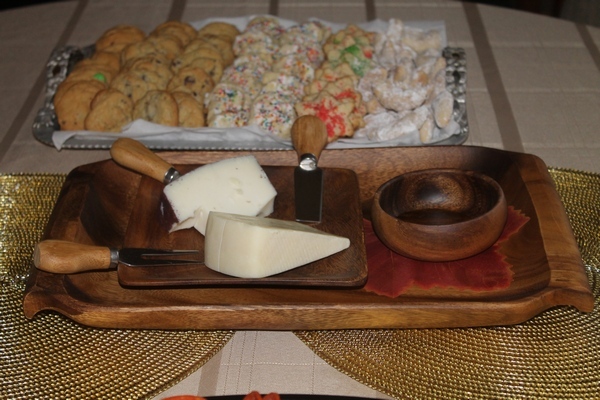 I received complimentary goodies & a Nokia Lumia 830 review device for this post about holiday hosting made easy. All opinions are my own. Rather than trying to go house to house on Christmas day, our family all gathers at one location the weekend before the holiday for a huge party. Since our house is the central location, we’re usually the hosts. My mom lives with me, and honestly, she does all the really hard work: baking, cleaning, etc. I handle smaller details, like decorating, running to the story 500 times for random little things and what not. It’s a lot of work but the payoff is worth it. 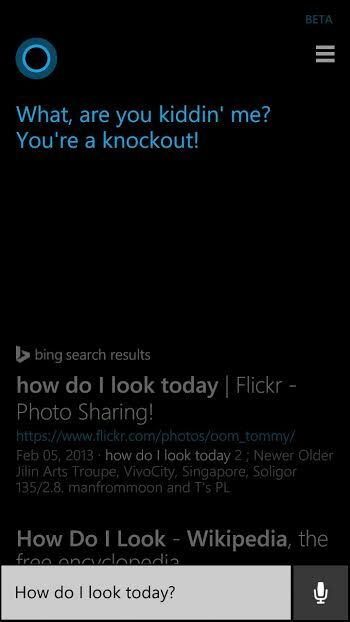 Ah, Cortana, you’re such a sweetie! I spent an hour asking Cortana some pretty random questions and she had quite a few fun quips. If you have a Windows phone, ask her if she knows Bill Gates. Also, ask her how she was invented. I could spend an entire post on Cortana’s fun features alone, but we’re talking about holiday hosting here, so I’m really trying to stay on topic. Since we’re talking about Cortana, let’s discuss how she can help make your holiday hosting prep work easier. I really put her through the wringer with my questions. I asked her everything from how many pounds of Ziti we needed per person to how to find the best Christmas songs. She never missed a beat. She either answered me outright or gave me results that matched my questions. We were in a slight (make that major) panic because the weather forecast kept changing. One day they called for 8 inches of snow on party day, then next they said rain. A quick check with Cortana kept me up-to-date on the latest weather stats. Fortunately, we didn’t get either rain or snow, just a bit of a dreary cloudy day. She even reminded me to check my email, take my medicine and everything else I tend to forget when I’m hyper-focused on another project. Daily glance: gives you a look at what you have planned for the day. Notebook: stores all your interests, friends and routines to give you useful recommendations. Quiet Hours: Tell Cortana you need some down time and she’ll screen your calls and send texts. 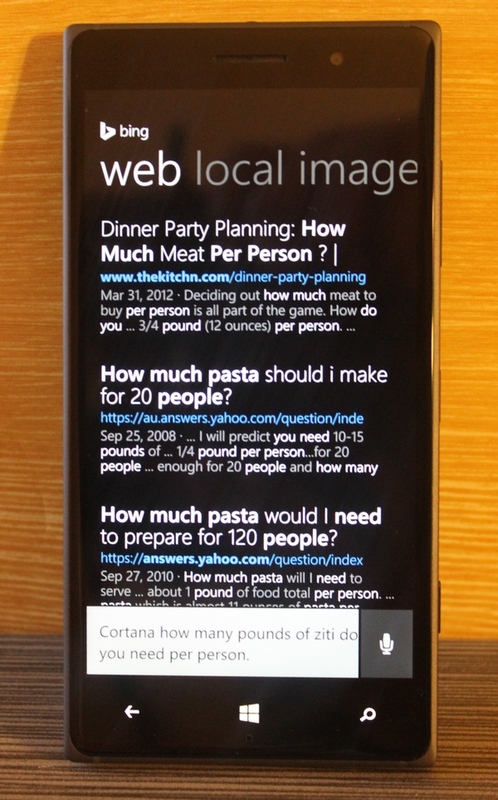 As I mentioned above, Cortana is also great for when you want to pass the time with some chit-chat. Like when you’re sitting in your car waiting for your mom to get out of the post office! Not to knock other devices, because I do have pretty much every platform and they all have their pros and cons, but my brother and I had a Cortana versus you-know-who battle and Cortana came out miles ahead. My sister-in-law Jennie told him, “give it up, you know [she] can’t do that, Ryan.” When it comes to virtual personal assistants, no one beats Cortana. 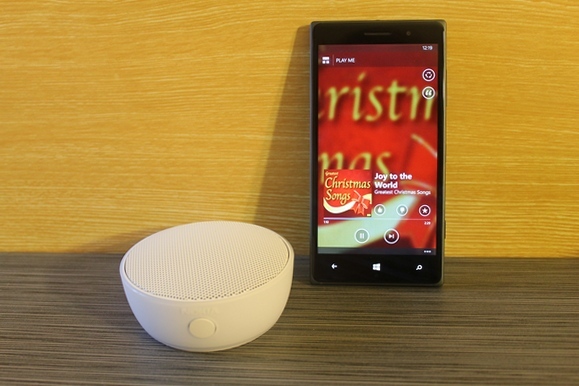 Of course, Cortana isn’t the only useful feature of the Nokia Lumia 830 when it comes to holiday hosting. Your Windows Phone can do SOOOO much more to help you get ready for your big party! Evernote is a must to help you keep track of your to-do list, capture all those great ideas you see when you’re browsing the web and stay organized on the go.While we used our own family recipes, if you need a little inspiration, BigOven has over 300,000 recipes across every category, including, of course, cookies. 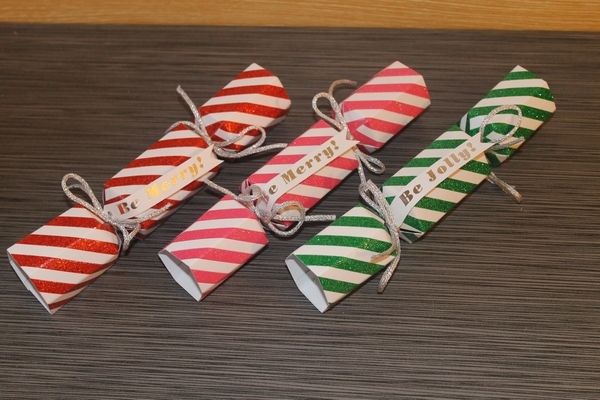 You can also shop for cool holiday goodies right from your phone, like these fun party poppers included in my package from Nokia. Keep your Nokia Lumia 830 handy during the party for even more fun! One of my favorite features: MixRadio. I paired the phone with a Nokia Lumia Wireless Speaker and used the handy premade playlists to play holiday tunes in the main party area! The speaker is small enough that you can tuck it out of the way, yet powerful enough to hear it throughout the room. It actually uses the surface that it’s sitting on to create a strong bass sound. Pretty nifty! Need some quiet time while guests eat dinner? You don’t want it to be too quiet, otherwise you get that awkwardness every 20 minutes or so. It’s not a myth, by the way, my friends and I extensively tested the theory in college. Every 20 minutes, there is in fact a lull in conversation. 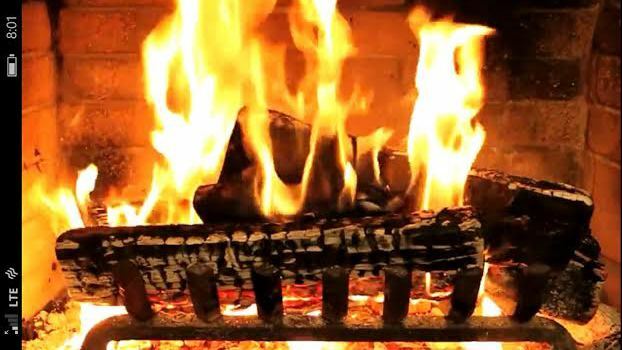 Turn on the virtual Fireplace! app and listen to the crackling sound of the logs popping. It’s actually really pretty! I use it as white noise while I’m working now. Movie Creator Beta: Capture your holiday memories with Microsoft’s latest video app, then use the branded themes and optimized video editing experience to create awesome movies right from your Windows 8.1 phone. I didn’t have a chance to use that yet, but Jake actually made a zombie video with it. Not very holiday-related. Also, he said it wasn’t done and “it’s embarrassing” so I can’t post it yet. Jake wants to explore this app further, so hopefully he’ll let me post a video for you soon (if it’s a zombie video, though, it’s NOT going in a holiday post!). Afterlight: Edit your favorite holiday pictures right on your phone with powerful tools that give you the look you want in seconds. So how does the Nokia Lumia 830 help with cleanup? Well, it doesn’t do dishes, sorry. You can use it to call a cleaning service though! That counts, right? 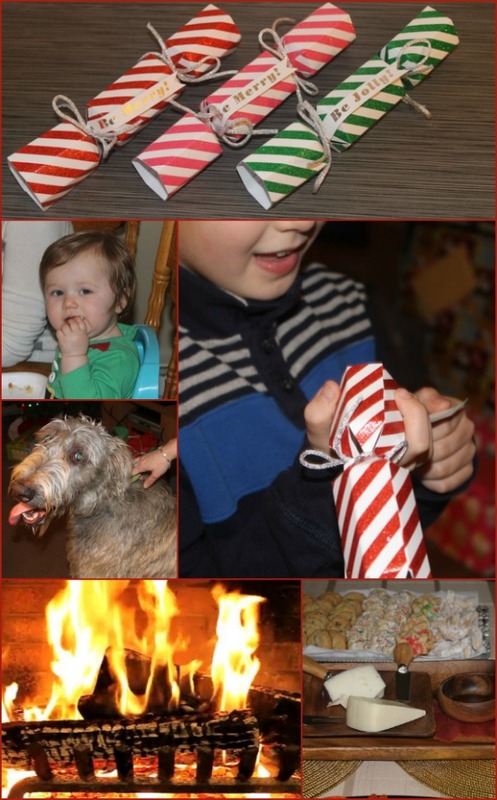 And now, a few highlights from our family party! 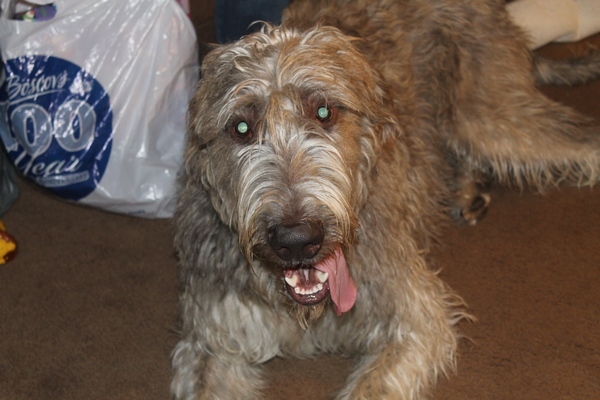 First, I have to show you my aunt and uncle’s Irish Wolfhound, aptly named Guinness. I was so excited to meet him. He’s not even a year old yet and he’s already huge. A gentle giant. 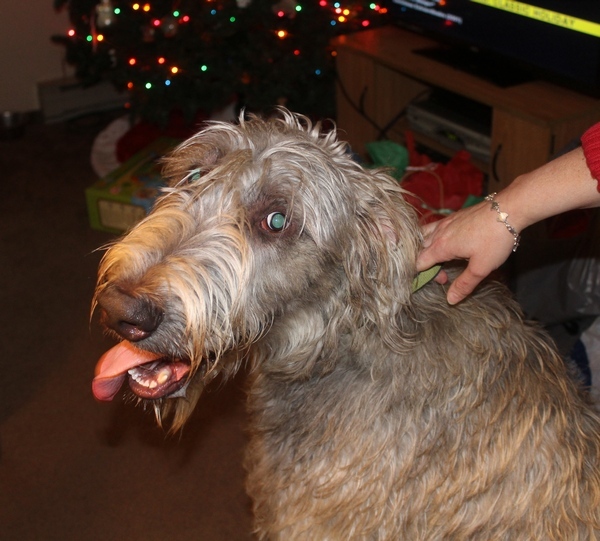 I tried to get a picture that captured the sheer size of this handsome pooch. In this picture below, my aunt is not bending over to hold his collar. She’s actually extending her arm UP. When Guinness greeted me, he gave me a hug. I was standing up. He jumped up (gently) and put is front feet on my shoulders and kissed me. He had to bend his head down to reach me! I’m only 5’2″, but standing up on his back legs, he’s at least 6 feet tall! Then there’s my beautiful niece, Abbie! 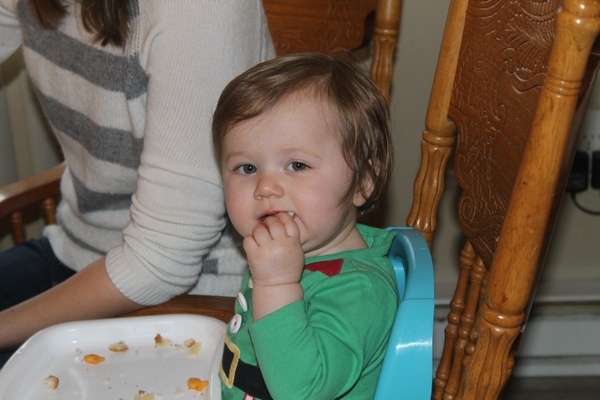 She’s going to be one on Christmas day. Isn’t she the cutest little elf? I have dozens of pictures of her, of course. 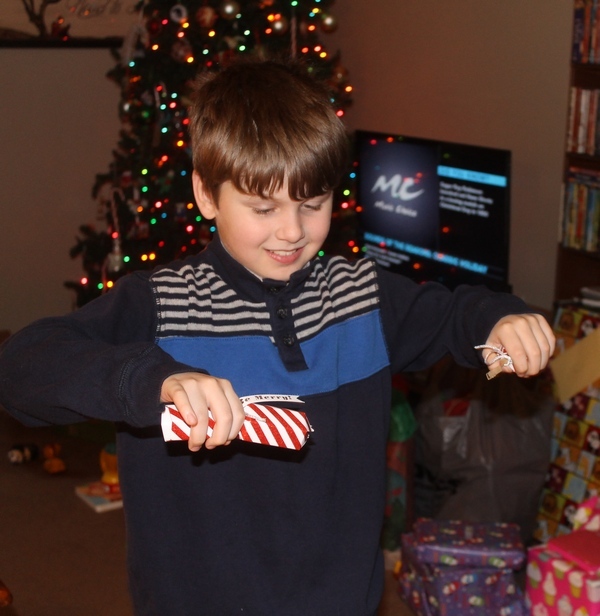 Jacob and my cousin Ben had fun popping the poppers! Oh, and do you see that in the background? I FINALLY got a flat screen TV! I’m moving up in the world. 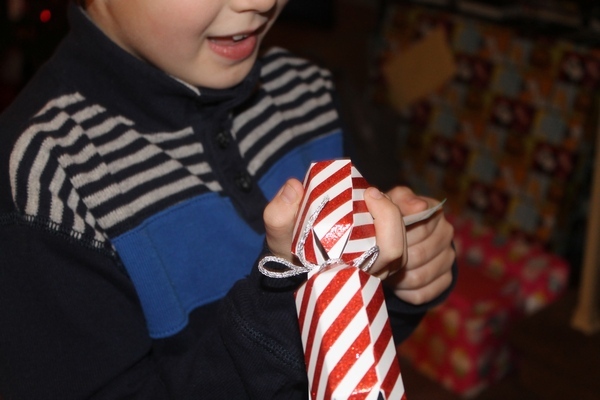 The party poppers came with an incredibly cheesy yet oh so fun joke. Jacob loves those. 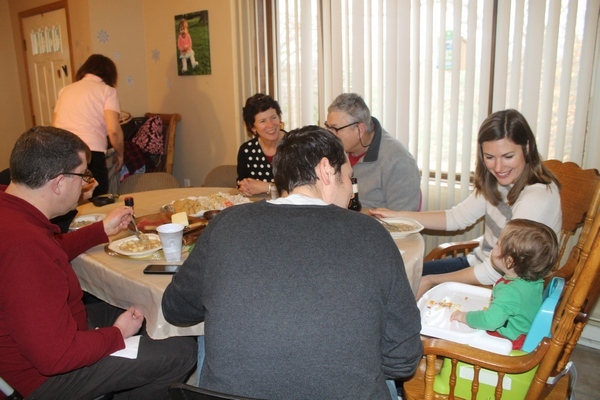 Our family holiday party was a hit, thanks to all my mom’s hard work and a little help from my Nokia Lumia 830 & Cortana. How would you use your Windows 8.1 Phone or Cortana to make holiday planning easier? Tell me in the comments! That’s a handy personal assistant. I could use one.